“You need a marketing plan.” Experienced publishers regularly give first-timers that sound advice. But if you are a first-timer, you are probably intimidated by the idea of doing a conventional, platform-based marketing plan, with its mission statement, executive summary, market analysis, goals, strategies, and actions. And you may be still more intimidated when you realize that these plans rely on previous experience, with goals described as increases over last year’s achievements. I suggest that you consider two other, and perhaps easier, ways for inexperienced planners to chart marketing actions, which I call discovery-driven planning and planning by narrative. Discovery-driven planning involves using the word plan as a verb, a course of action with today as the starting point. It works best for nonfiction and lets you start by assuming certain things about pricing, distribution, and promotion and learning by trial and error over time. Planning by narrative works best for fiction; it involves constructing a story, much as you might in writing a novel, and also allows for learning and correcting course. Create your preliminary plan at least six months before publication date, since many actions must be taken during that time. 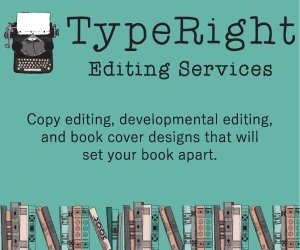 For example, you need testimonials to include on your book’s back cover well in advance of publication; catalogs and book clubs want to see your material up to six months before a book’s official launch; and prepub reviewers want to see material up to four months before the book comes out. Publishers with no sales history for established titles often wing it. They just do something and expect sales to result. In discovery-driven planning, you base your actions on proven marketing advice instead of historical data, track the results of your efforts, and make adjustments as you go along. Here are the steps in the process. Start at the end. Instead of estimating future revenues and then assuming they will produce profits, create a reverse income statement. Determine the profit required to make publishing this book worthwhile. Then calculate the revenues needed to deliver that profit, taking account of all relevant expenses and all discounts trading partners will require. Learn effective marketing techniques. Find out what to do to generate the revenue you need. Read books about marketing. 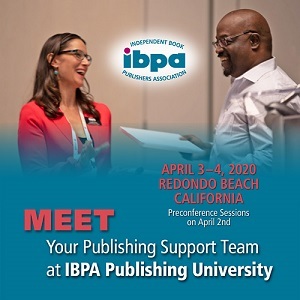 Take advantage of membership in IBPA and your local publishers organization. Study articles in the Independent. 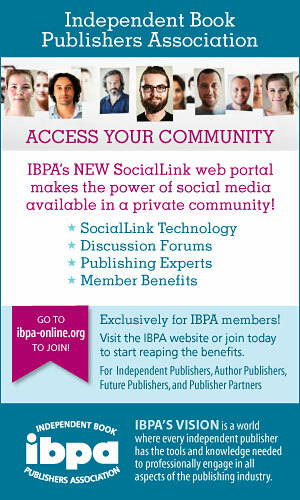 Attend seminars and Webinars. Take in all you can about how to generate short- and long-term exposure and sales. Study successful authors, not to replicate what they are doing now, but to do what they did early in their careers to get where they are today. Pick a price. Figure out what price will let you reach your profit objectives given your costs, and see whether that price will be competitive by studying the prices of similar books. Do not simply use an X-times-cost formula to set a price. Arrange for availability. 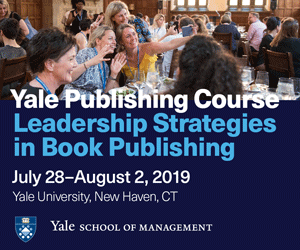 Explore relationships with wholesalers and retailers that could make your book available in traditional sales channels. 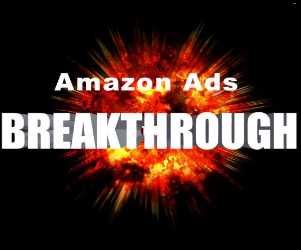 Also explore possibilities for sales through major online retailers and for sales in niche markets relevant to your book online and in physical locations. Promote. Investigate and act on possibilities for in-person, print, and online publicity, media coverage, social network promotion, and speaking dates. As you begin to experience results—positive and/or negative—evaluate your relative success. Redirection is often the key to successful discovery-driven planning. • Create a simple spreadsheet such as the one shown here. Estimate quarterly forecasts for Year One. based on the previous quarter’s results. something did not work as expected, it may have been because of bad timing or poor implementation. • Note and do more of what works and stop doing what does not work. Creating a narrative marketing plan entails approaching marketing activities as a story. This is why it may be particularly effective for fiction writers. This process has five steps. Define characters and motivations. You are one primary character in this marketing story. What are your strengths and weaknesses? The other primary character is your target reader. Define your target reader precisely in terms of demographics, but focus strongly on why this person would want to purchase your book. Where does your target reader shop? Those places are where your book should be available. Whose opinions do target readers value? These are the people you need to approach about blurbs. Where do the readers you’re aiming for congregate? That’s where you should be doing readings and other programs. Additional characters may include buyers for retail bookstores online and off, buyers for supermarkets and gift shops, and other people who want products that will build store traffic, increase inventory turns, and improve profit per square foot. Think also about distributors to brick-and-mortar retailers who want quality books well supported by promotion; about librarians who want books that will help their patrons; and about corporate buyers who want content that will help them sell more of their product. Describe how you will sell to each segment. Describe the antagonist in your story—your competition. Your book will be competing for your target readers’ share of mind and wallet with a variety of other books and products, with specifics depending on which consumers, retailers, and nonretail characters you select. Do a quick search for competitive titles in your category at Amazon.com or BarnesandNoble.com and check out competing titles on bookstore shelves. Write the story of launching your book. 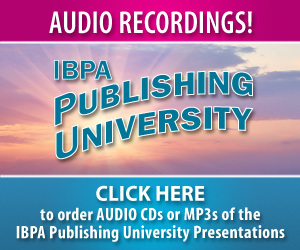 Describe what happens throughout the process of producing and marketing the book. What advice will you get from your accountant, your cover designer, and your editor? What evil forces may prevent you from succeeding? Describe how you will get booked on and perform on television and radio shows. Tell about the trials and tribulations of arranging distribution and shelf presence. What twists and turns could occur? What new characters might enter? Build to a climax about reaching whatever your objective is. End with a beginning. Close your story by describing the actions that will lead to a new life for this book and/or to a new book. Of course, there is more to the story of launching a first book than I have described here, but you get the idea. You define and control this story as much as you define and control actions in other aspects of your life, so it pays to carefully describe how you will move ahead toward your destination. Both discovery-driven planning and planning as narrative acknowledge that little is known and much is assumed at the start of any new venture. Both can systematically convert assumptions into knowledge as your venture unfolds. Proceed with your best-guess estimates; then test and question them as you progress. When new information is uncovered, incorporate it as necessary into your evolving plan. You will discover the real potential of your book as it develops. What is the best form for a marketing plan? The best form is the one that works for you. Create a functional plan as an easy-to-use reference tool that guides your efforts. Implement it steadily and update it as necessary. You will then have the experience to write a platform-based plan next time around. Brian Jud, the author of How to Make Real Money Selling Books, now offers commission-based sales of books to buyers in nonbookstore markets. For more information: P.O. Box 715, Avon, CT 06001-0715; 860/675-1344; fax 860/673-7650; brianjud@bookmarketing.com; or premiumbookcompany.com.